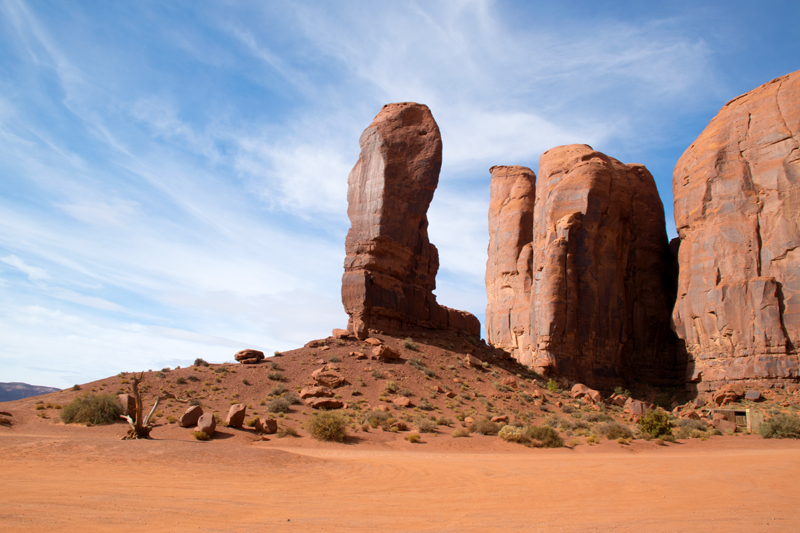 About 3 hours south of Moab, along the border with Arizona is Monument Valley. 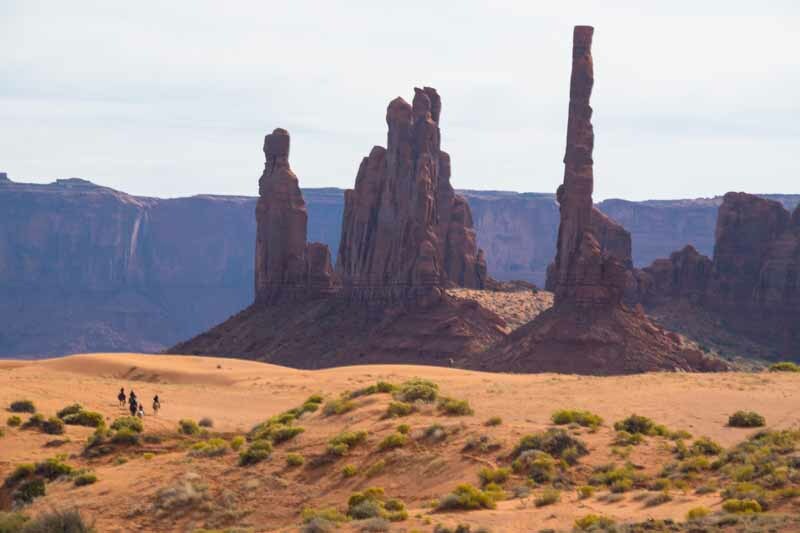 Anyone who has watched a John Ford western will recognize the mesas and buttes in the valley. The drive south passed thru a new type of scenery, and small towns along the way. The photos below only include a part of what it there. 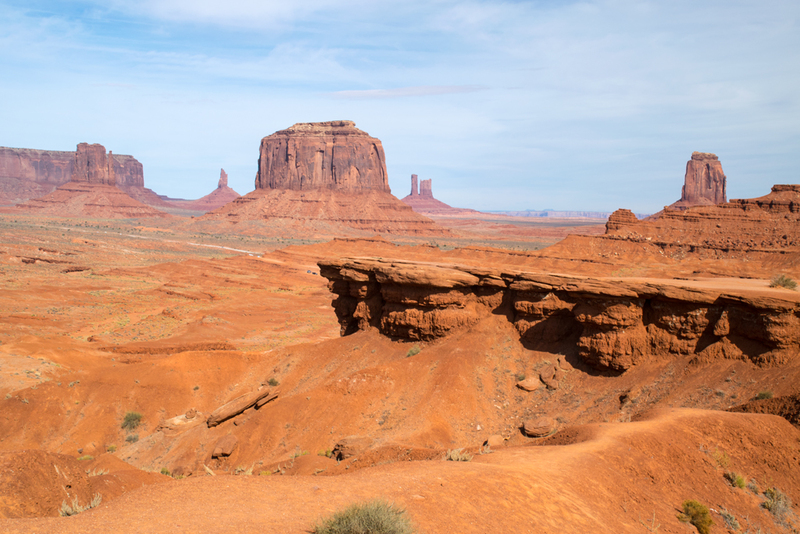 After a while, the buttes all look alike. At Utah Route 163, mile post 13 is this iconic view of Monument valley in the distance. 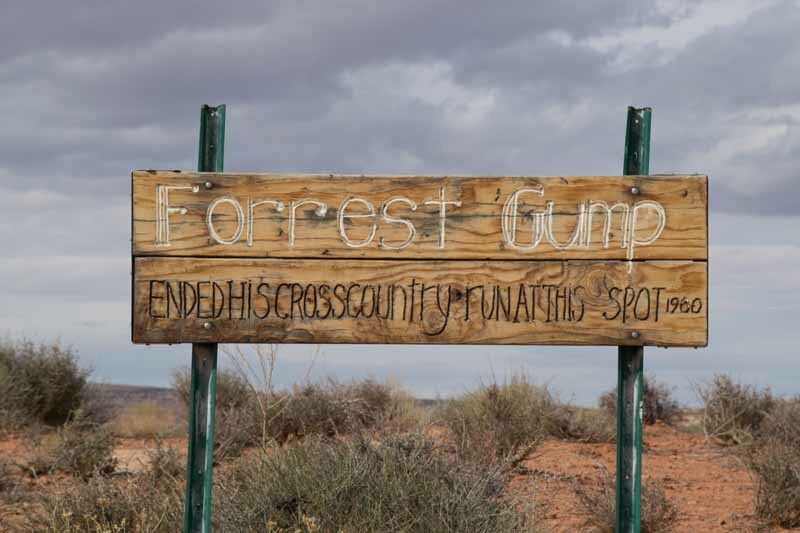 If this looks familiar, this is where Forrest Gump ended his run across the country and started back. In case you doubted the previous statement, this is the marker at mile post 13. 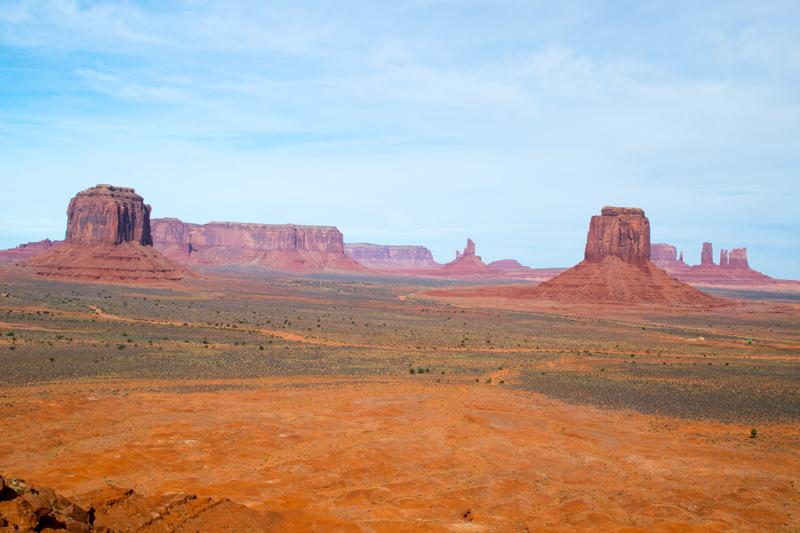 This is a view of West Mitten Butte, East Mitten Butte and Merrick Butte. 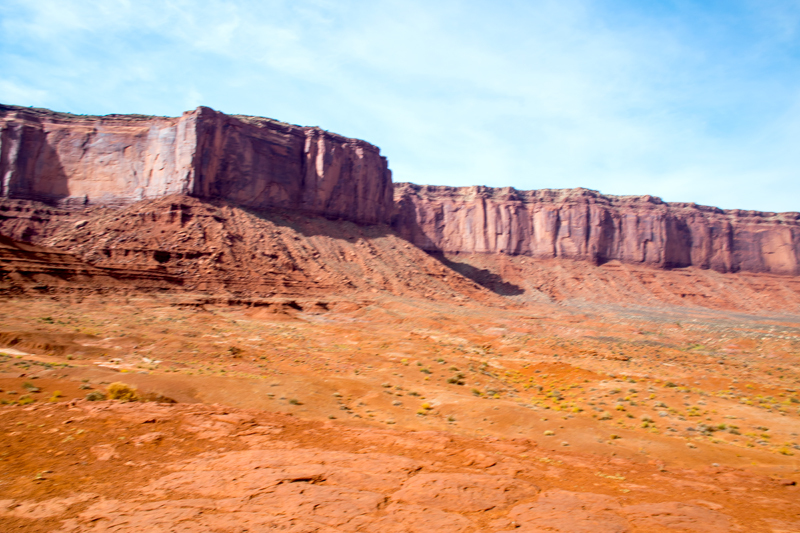 This is Mitchell Mesa, one of the largest mesas in the valley. This photo was taken at a location called Artist's Point overlook. This is a popular location for those with artistic talent (unlike me). This formation is called "The Thumb", and it seems to me that it is the smallest feature in the park. This is John Ford's Point, and appears in his movie "The Searchers". There is a local resident who sits on his horse at this location, and "encourages" tourists to pay him to take his picture. Luckily for me, he was finished for the day when I got there. 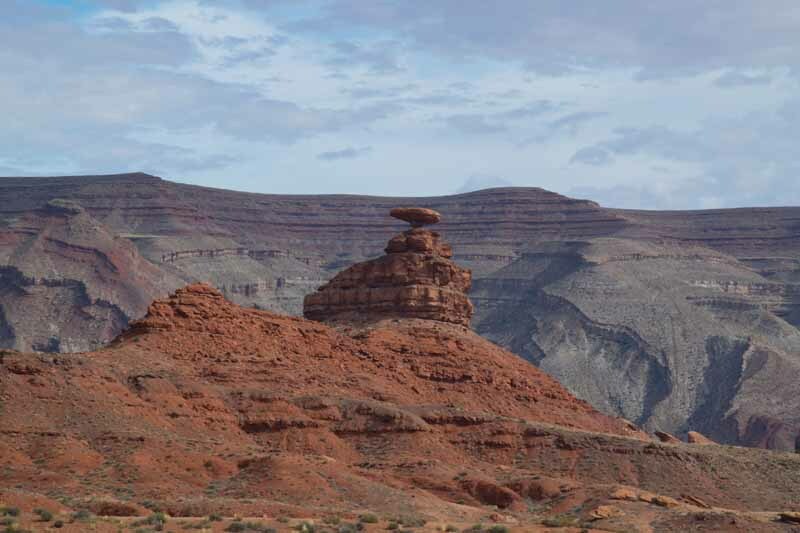 The best way to get a perspective on the valley, is to look at the mesas and buttes from the observation area next to the visitor center. In this panorama of six photographs (I love Photoshop!) you can see the valley road and a car on the road. To call the path a road is being generous - I think that the old stagecoach roads were smoother. 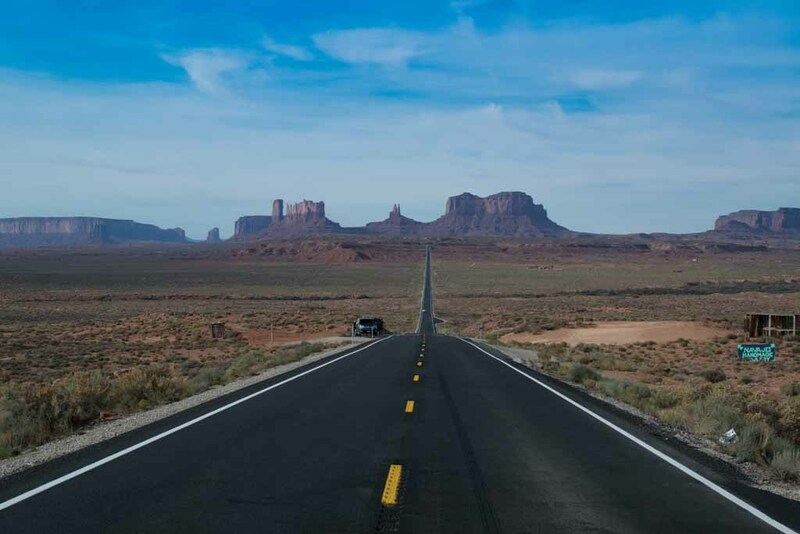 The road to the Monument Valley passes through a small community on the San Juan River called Mexican Hat. This picture show how it got its name. 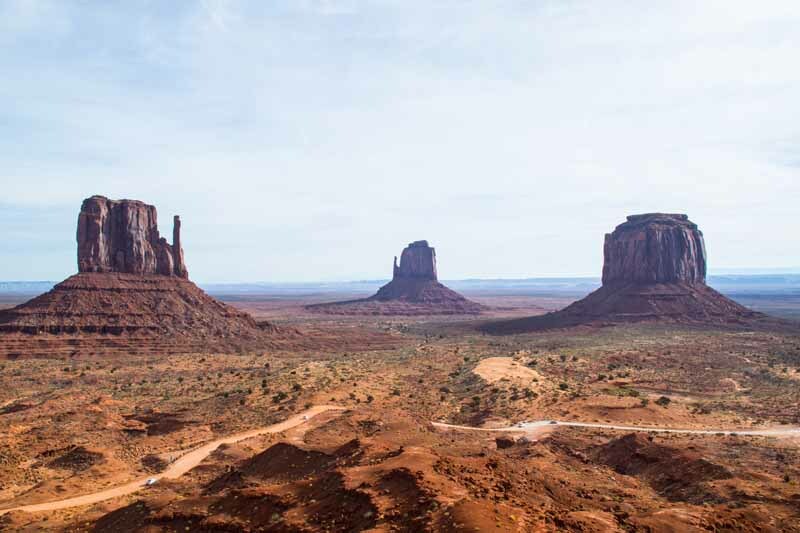 Monument Valley is part of the Navaho Nation, and spans the border of Utah and Arizona.